New and replacement wood windows are one of the most popular improvements that can be made to a home. Besides reducing noise and energy use, they can increase property value and enhance a home’s appearance. 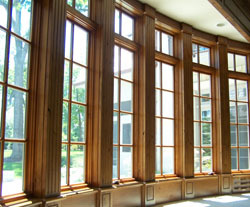 Easy and quick to install, wood windows add value and beauty to any home they’re installed in. Midwest Window & Door’s suppliers are the market leaders in wood windows and offer lots of options and attractive pricing. Take a look at our suppliers’ offerings and give us a call to discuss your window needs or come in to visit one of our two locations in Elk Grove Villlage and Montgomery, IL. Visit Our Showrooms & Order Your New Wood Windows Today.